Unless you are a business fortunate enough to have a completely unique product or service, inevitably you will face competition in your chosen market. 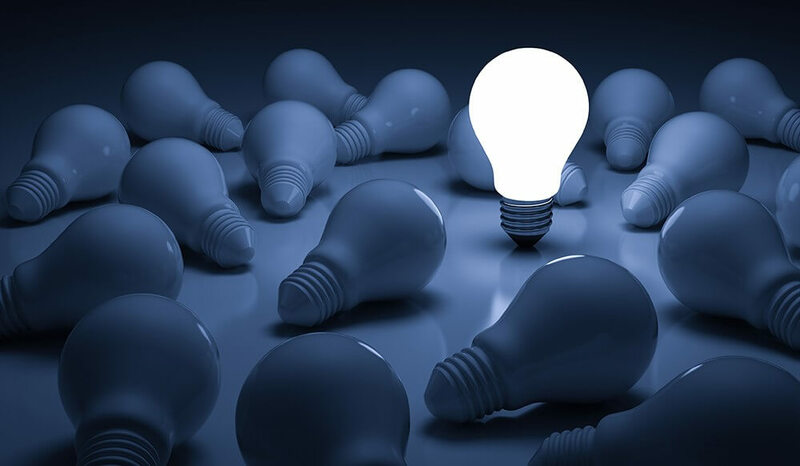 Whether it’s from new entrants, established brands or just companies diversifying or growing, there is always the challenge of standing out from the crowd. This is perhaps even more prevalent within the print industry, as not only are we having to ensure that our products stand out against the competition, but now we are also battling against the ever changing marketing trends of the digital age. So how can you ensure a point of difference - that real USP, as well as landing the desired message to both prospects and clients? Or to use a term relative to our industry, how can you be that direct mailing piece that gets you noticed amongst the blur of electronic communication? I always think, first-and-foremost, it comes down to customer experience. Think about the times you’ve stopped going to a restaurant, or never returned to a store, or not made that repeat purchase with your supplier. It’s more-than-likely come down to your experience as a customer. Were the staff unfriendly, impersonal and pretentious? Were they lacking in the product or industry knowledge you required? Or, were they simply unengaged or uninterested in actually dealing with your request? It’s no surprise therefore that you were reticent to, or never returned. Customers have become very savvy to the messages they’re presented with, so the pressure is on for your business to substantiate those messages. Don’t fall down by promising the world but not following through! Be easy to do business with. Customer loyalty is the pinnacle all businesses strive for. And whilst there’s the inevitable loyalty programme, app or bundle to use these days, is that actually what customers want? To have customers return time and again, it pays to get more personal – to learn about their business and get behind the reasons they’ve sought to use your products or service in the first place. This truly helps you add value to your customers and ultimately helps you, as a business, ensure you’re driving that sought after loyalty. In what’s fast becoming one of the most exciting years in Blake history, we are doing a combination of all. Innovation is very much the heart of Blake. 30 percent of our products are unique to us and it’s this constant product innovation that keeps us ahead of our competition. We undertake a rigorous process when introducing new products to establish uniqueness or find ways to adapt products so they stand out from the crowd. Taking the time to understand the needs of the market, has provided an experience where customers are confident in our ability to provide innovative solutions. To that end, Blake has worked with leading financial institutions for many years. Having become an expert in this field and seeing a growing need for bespoke solutions in the security market, banks now trust Blake to develop products in this market, such as our new range of bags for quick-pay deposit machines and strategic locations requiring secure payment transfer systems. This week was even more exciting, using our new Zoom video and web conferencing technology, to bring together remote locations in Edinburgh and Leeds, with Head Office in Yeovil, to deliver a live and interactive presentation introducing products for our issue 17 catalogues, which will be available soon. Staying at the top of your game in business isn’t easy. You need to be prepared to work hard and be armed to answer your customers’ queries before they even ask them. So be clear and trustworthy, open and responsive, and demonstrate skill and competence in your dealings. All helps you stand out from the crowd!